Early development revolves around changes that children go through in relation to being physically sound, emotionally healthy, intellectually savvy and socially adept. The first years of life are a critical stage of kids’ step by step building-up in various developmental aspects. The early experiences children have are formative and have direct effect on their rounded growth as well as on a person they become as they get older. Some parents want to educate kids on their own in a family setting, where they can be around their children all day long and determine the schooling schedule. However, the majority of forward-looking moms and dads opt for a homey preschool environment as a more well-fitted and meaningful place for their little ones to grow and wise up. Sending a child to a preschool is not the last resort for hard-working parents, rather a well-thought out decision they take to help kids develop naturally and comprehensively. All parents want their kids to get a solid background for future personal, emotional and social excellence. Preschool education lays the foundation for children’s independence and self-sufficiency, maps the path to academic success and cultivates children’s thirst for learning in sync with their abilities and needs. Homeschooling can also be rewarding in many ways, but not every parent is prepared or versed with necessary skills and talents to see kids to successful development. 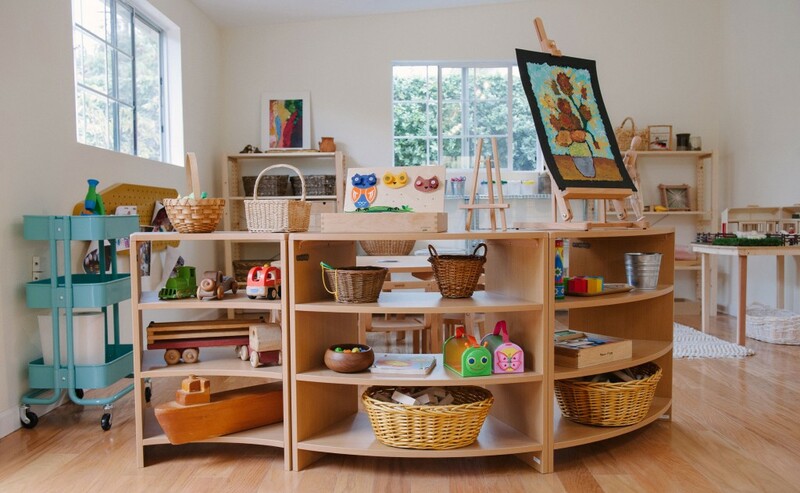 Kids Collective Culver City Montessori preschool provides a broad array of fun, inspiring and insightful activities for kids that challenge them to ask questions, test ideas and solve problems. Young learners have a plethora of playthings, arts and crafts at their fingertips to uncover new talents and pick up new skills – by doing, playing and exploring. Preschools focus on a multifaceted and sophisticated approach to personality development. They lay the foundation for children’s emotional, physical, mental and social growth. Children grow active, talented and cooperative, which has positive effect on their coordination and physical stamina, improved self-worth and confidence, communication and social interaction. In this regard, homeschooled kids lack in great many experiences that preschoolers do, mainly cooperative play and teamwork, excitement and motivation for learning. Physical skills: gross and fine motor skills, coordination, focused attention. Emotional skills: confidence, optimism and improved self-esteem. Social skills: interaction, teamwork, collaboration, positive behavior, respect, patience, empathy. Unlike homeschool environment limited to a couple of activities that kids experience throughout the day, preschools open up a plethora of opportunities to take and get inspired. Kids are exposed to diversity in outdoor and indoor activities they find interesting either individually, or as a part of group play or project. They include sensorial activities, language arts, cultural studies as well as music, yoga, gardening, cooking and more. A robust balance of curricular and extracurricular activities help children grow curious and inventive, yet healthy and well-rounded. While parents are first and foremost teachers for their precious ones, children have still much to learn from professional educators. At preschools, teachers create a consistent, stimulating and challenging environment, where kids can learn through first-hand experiences, yet with clear expectations and predictable consequences. Teachers are not instructors, rather observers and advisors. They interact with children and create programmes to fit with their abilities and capacities. In this respect, parents may lack in competence to see what they children need at a particular developmental stage to grow holistically, while catering to their woes only. Picking the right preschool is a major step towards getting your child healthy and mature at a school age and beyond. With so many parents caring for their children’s well-being out of a preschool, homeschooling has the right to exist. However, no matter how well-designed a home setting can be, there are still great many obstacles parents usually meet and essential things their homeschooled children are deprived. By putting children in the right preschool, parents get their kids a step closer to personal happiness and success. Copyright © 2019 Kids Collective. Photos by Kristina Korn Shires.